CPM ( Cost Per Impression ) ad networks pays publishers as per 1000 impressions. CPM ad networks pays to you also if your visitors not clicked on any ads. Its best to use CPM ad network if your blog/website generating large amount of page views per day. You can earn more money by placing CPM ads if your blog has large number of page views (PV) than CPC ads. Cost Per Impressions or CPM ads are a strong way of increasing revenue of blogs. Blogs are now popular as they have the ability to earn money and are thus gaining popularity among publishers as well. 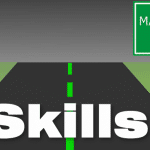 The traffic received is easy having your blog and now for placing the ads on the same blog. Of course the earning is completely based on the location, traffic and the ad type. Comparative to CPA, the CPM ads are better, as the former is tougher and demands qualified and high traffic having the potential to get transformed into sales. There are many top CPM ad networks where acquiring approval is simple and even the new blogs can avail it and earn money. Moreover, CPM ad networks do not demand niche traffic or highly qualified traffic. CPM Advertising Programs are beneficial programs as you get paid for visits alone. It is not insisted that the visitors must click on ads for you to earn. The fact stays that if your visitors click on the CPM ads, you can make better earnings. In this way you can supplement your blog earning with adsense revenue. The CPM ads are on the basis of per 1000 and so have fixed rates ranging between $1 and $3 per 1000 views. 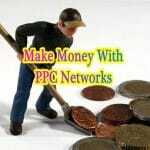 Google Adsense mainly is a CPC network. But also they display some CPM ads. Means you can get money for clicks and impressions. No doubt adsense is the most largest and best CPC network for lately years. Adsense offer huge advertising pool and well paid, only one thing not good is the account of adsense need approval and it is not easy to get it approved. So, i also suggest you use Adsense for the display ads give highest CPC and CPM rates when compare to others.You can read more about Google Adsense here. The Adcash users can transform their blog traffic into revenue. Access the Adcash admin panel with ease as they support in eight different languages. Adcash supports mobile ads and has an intelligent platform for contextual targeting. Acquire account managers help and monetize in the right ways your blog. The ads are of high quality and there are top brands that you can enjoy high rates. Tribal Fusion is one of the top high paying ad networks on the networks. Tribal Fusion offers wide range of ad formats. Tribal Fusion pays net 45 and their minimum payout is $50. Tribal Fusion only accepts only Quality based sites which meets their program policies. You can also block some ads if you don’t want to display. Tribal Fusion accepts quality publishers only. They have high requirements so check them before applying to tribal fusion. BuySellAds is an ideal choice that has no requirements for minimum traffic and so website owners can get started immediately. This is the best for new bloggers. Buy SellAds provide 75% revenue that they receive from the advertisers. The best part is that you can get the money you earned also on demand. Here generating revenue is easy just from 100 visits a day. Putting in a request is enough and you will see your payment in the coming 2-3 days. Request for payments can be done twice in a month and it is processed in 2-3 days. It is Adsense safe and comes in varying sizes. No limits for traffic expected and a $20 can be transferred as minimum through PayPal. For cheques or wire transfer, $50 and $500 must be available in your account. Propeller Ads is great eCPM ad network and offer high eCPM rates. And it’s easy to try their Servcie that you can monetize your website or mobile traffic in less than five minutes. You can create immediately just few step on add and verify your domain ownership. Conversant Media named ValueClick before 2014 is one of the top ad networks in the industry. That is an online advertising company and have more than 15 years track record. Their service only allow quality sites. They offer wide range of ad formats. You have complete control on ads so you can choose which ads to show on your site or not. Their support staff is also good. Conversant Media pays on monthly basis and their minimum payout is only $2. Publishers sites are expected to have minimum 2000 visitors every day. Epom Market is an international ad-network that unites top quality Publishers with direct Advertisers. Epom Market partners with leading advertisers and publishers in more than 40+ different countries and 15 different verticals. Epom always pays on time. 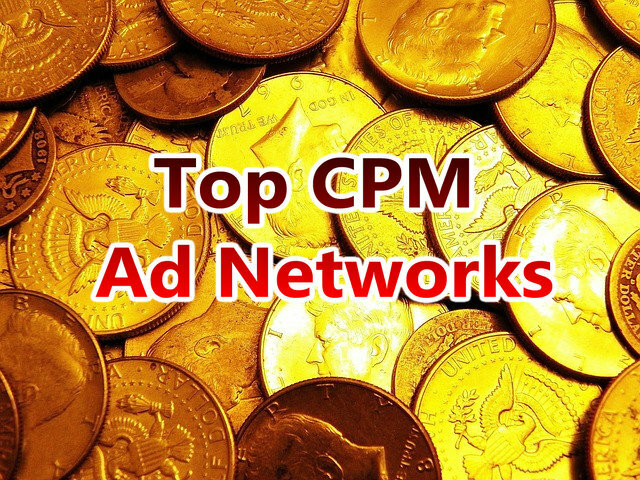 It’s also a good CPM ad network, Epom also pay well! They pay on monthly basis and minimum payout is $100. Their support staff is also helpful. They reply to your query within 24-48 hours normally. Epom pays highest eCPM rates. Epom updates its stats daily. So, recommend you can try Epom market. Includes clients such as Forbes, Yahoo, MSN, Kiplinger, etc.